Late August and early September can be an ideal time of year to travel to Ireland. The throngs of tourists that crowd the island from mid-June through mid-August have generally thinned out, but the weather still remains mild. Daytime brings high temperatures in the 60s and low 70s, with overnight low temperatures in the 50s. However, no matter when you travel, you’ll want to bring an umbrella and raincoat. Day trips by train are an ideal way to see Ireland. Whether you want to head to the coastline, walk the cobblestone streets of Killarney, or visit one of Ireland’s famous castles, you’ll find a day trip to suit your fancy. 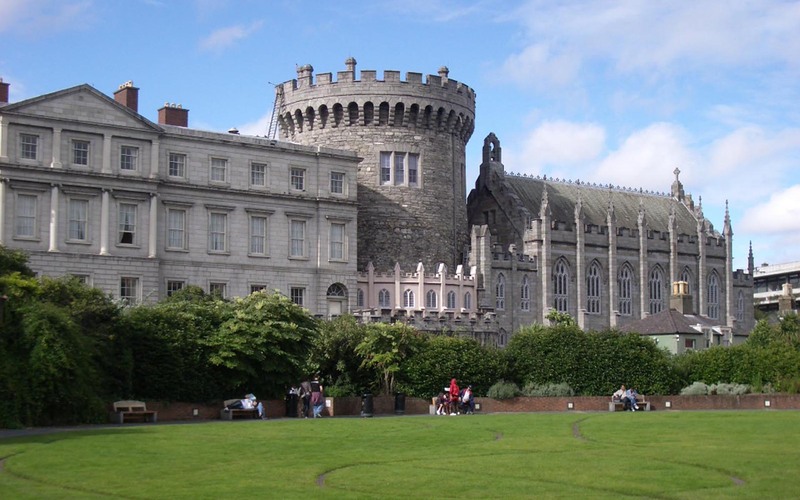 Dublin – for a visit to historic Dublin Castle and the Guinness Storehouse (the number 1 attraction in Ireland). Waterford – for a walking tour of the factory that makes the famous Waterford Crystal. Along the way visit the medieval city of Kilkenny. If you are there in August, plan to attend the Kilkenny Arts Festival. You’ll not only get to experience artistic magic but you’ll also have the chance to visit many of Kilkenny’s castles as they become festival venues. Cork – to kiss the famous Blarney Stone. According to legend, if you kiss the Blarney Stone you’ll be given the gift of eloquence and a touch of good luck. 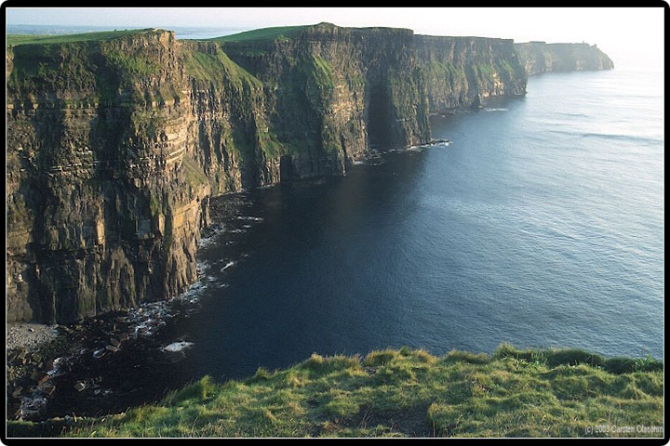 Cliffs of Moher – for fantastic views of the country and Ireland’s coastline. You can make a stop in Limerick while in this area. Limerick is home to Ireland’s largest regional St. Patrick’s Day parade. For a little bit of grandeur and an intimate sense of history (and to really make your trip memorable), spend a night in one of Ireland’s many castles. There is nothing like the experience of waking up in a castle. As always, no matter where you travel, we can help you stay connected. For traveling in Ireland, we recommend using a global SIM card if you have an unlocked smart phone. A SIM card from Wireless Traveler is only $19.99 plus you’ll receive $15 in free airtime. Or, download our low cost Wireless Traveler App, from iTunes or Google Play and start calling for 2 cents/minute to the States and 3 cents/minute in Europe. If your friends and family also download the app you will enjoy free app to app calling! For data connections, we recommend a pocket WiFi hotspot with unlimited data. You can rent one for $99/week (special discounts for extended stays) and it will accommodate up to five devices.